We created a brand new custom wordmark, which connects Thomas’ roots with the electronic evolution of his music. The modern sound of the tracks was offset by that classic McRocklin guitar sound, so we customised a modern sans serif with 80s-style extenders. The result is a crisp, modern, quirky identity that quickly sets out McRocklin’s stall with fans old and new. 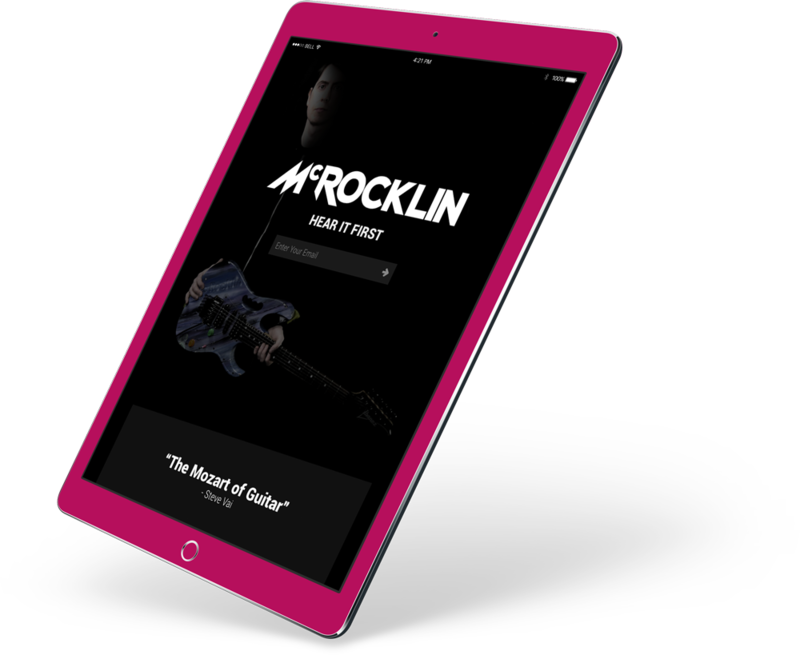 We developed a marketing strategy based around a one page website which combines direct email marketing, social media and search marketing in order to allow McRocklin to reconnect with his fanbase. A sneak preview of the new material was offered in return for an email address, rapidly building a fanbase alongside the usual social channels. 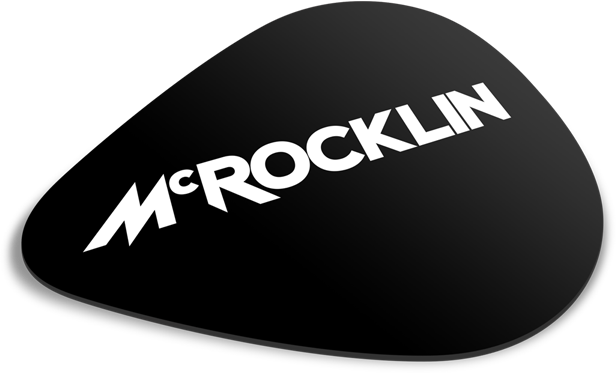 Within a month of launching his new direction, McRocklin had racked up over 20,000 plays of the new material. An ever-expanding fanbase has him in a great position to launch his album – with major record labels and world renowned sponsors scrambling to work with this revitalised rock act.